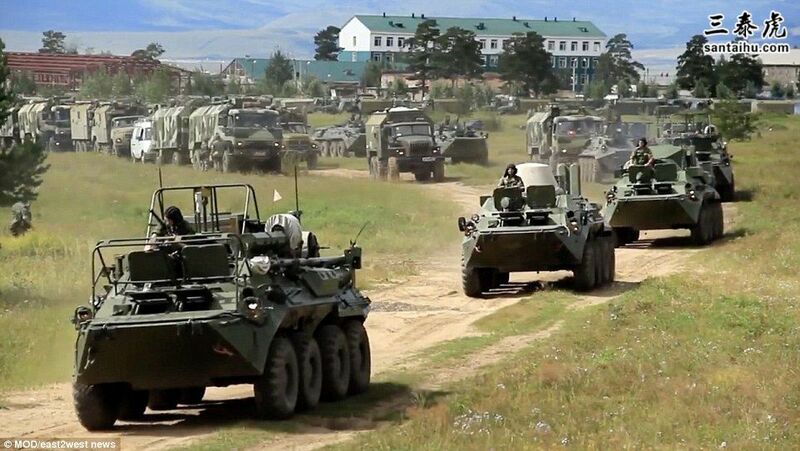 Russia has teamed up with China to launch its largest every military drills, with 300,000 Russian troops taking part along with Chinese soldiers in a massive show of force that has rattled the West. 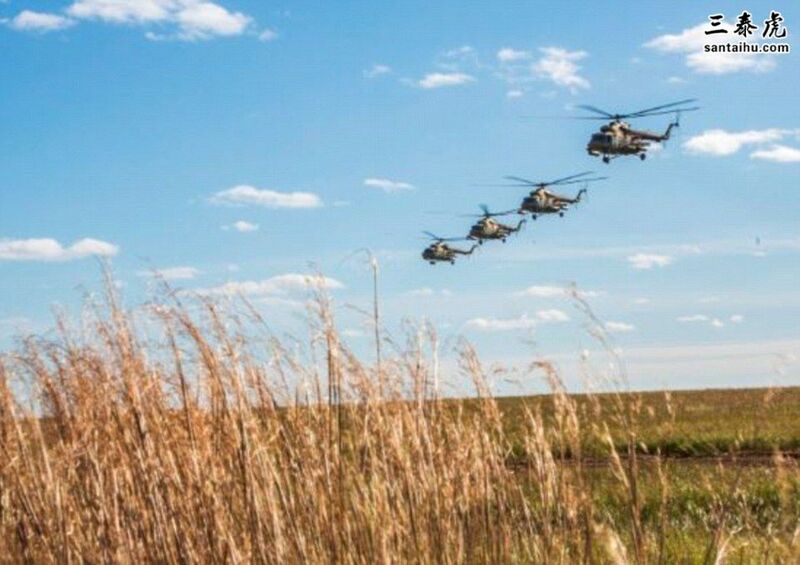 The week-long war games dubbed 'Vostok-2018' (East-2018), 'have kicked off' in far eastern Russia and on the Pacific Ocean, the defence ministry said in a statement. The drills, which include the Chinese and Mongolian armies, have been condemned by NATO as a rehearsal for 'large-scale conflict'. The war games are underway at five ranges in the east of Russia, and in the waters of the Sea of Japan, Bering Sea and the Sea of Okhotsk. The Russian army has compared the show of force to the USSR's 1981 war games that saw between 100,000 and 150,000 Warsaw Pact soldiers take part in 'Zapad-81' (West-81) - the largest military exercises of the Soviet era. 'Imagine 36,000 military vehicles moving at the same time: tanks, armoured personnel carriers, infantry fighting vehicles - and all of this, of course, in conditions as close to a combat situation as possible,' Shoigu said. Some 30 aircraft from the Chinese air force will also take part in the five day drills. The latest in a series of massive drills ordered by Putin come at a time of escalating tensions between Moscow and the West over accusations of Russian interference in western affairs and ongoing conflicts in Ukraine and Syria. Vostok-2018 also features more than twice the number of troops in the entire British armed forces, which is just below 150,000. NATO said that Vostok-2018 'demonstrates Russia's focus on exercising large-scale conflict'. 'It fits into a pattern we have seen over some time - a more assertive Russia, significantly increasing its defence budget and its military presence,' the alliance's spokesman Dylan White said in late August. Last month, Kremlin spokesman Dmitry Peskov said Russia's 'ability to defend itself in the current international situation which is often aggressive and unfriendly to our country is justified, essential and without alternative'. Russia has been preparing for the latest drills for weeks - at one point closing a road so planes could land near Khabarovsk, and firing missiles from land, surface and submarine at a target in the Sea of Okhotsk. Separately he has a large convoy in the Arctic and some 25 warships in the Mediterranean – the biggest deployment since the deployed forces in Syria three years ago. Ahead of the games, Russian forces unleashed a devastating display involving synchronised launches from land, surface vessel and submarine hitting targets in the Sea of Okhotsk. The live-fire exercise hit two drifting targets in the Sea of Okhotsk on Russia's Pacific coast as Putin was on a trip to Siberia. Four different types of cruise missile were used in the attack - Vulkan, Granit, Malakhit and Onyx.They were fired from the missile cruiser Varyag - flagship of the Pacific fleet - as well as missile corvettes Razliv and Moroz, and the Tomsk nuclear powered submarine. They were supported by the Bastion missile system fired from land. The distance of the targets was between 155 and 310 miles. 'All seven cruise missiles successfully hit the targets,' said a statement from Russia's eastern military district. Earlier vehicles were halted on the Khabarovsk to Komsomolsk-on-Amur motorway to allow Su-30SM, Su-35S and MiG-31 pilots to test their landing and takeoff skills on the narrow road, according to local reports. This is a scary article. For those of you that think it is the West forcing Putin's hand, try reading the novel "Ghost Fleet". It is on the desks of four-star generals and junior naval officers, and it has found its way on to the recommended reading lists for every branch of the American military. Looks like China, the sleeping giant has woken up!